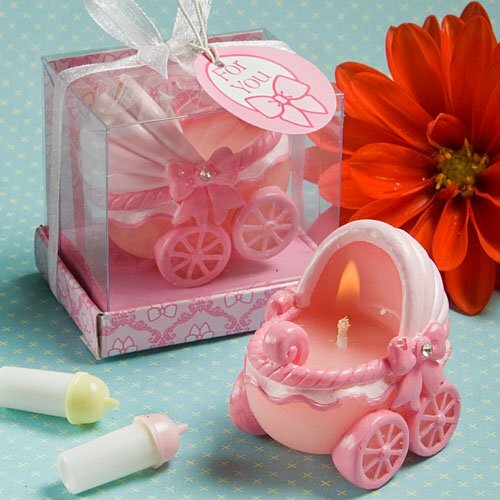 A baby shower candle favor is easy to make ... or buy baby shower candles wrapped into favors and ready to give. There are so many cute ways to wrap, bundle or bag baby shower candles. Candle favors to make can be a creative addition to your baby shower. Do-it-yourself, or buy them pre-packaged and ready to give. Either way, we have excellent ideas for both. Monkeys & Tigers & Bears ... Oh My! A DIY baby shower candle favor can be made with organza favor wraps, adorable little organza tote bags, delicate organza drawstring bags, or simply placed in personalized baby shower favor bags. Finish It With Personalized Baby Shower Ribbons. Or ... buy your candle favors all ready to go! Pure Integrity Soy Candles offers a variety of exceptionally strong and highly scented, all natural, soy baby shower candle favors. A high quality product and perfect for any favor or gift. 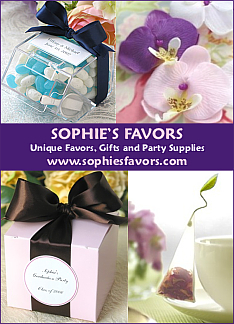 Check out the Wedding Candle Favors for very elegant candles that are excellent for upscale baby showers. Whether it's "Pretty In Pink" or Pink Gingham, cute ideas just for the girls! Personalized favor ribbon and gift bows, learn how the professionals do it!